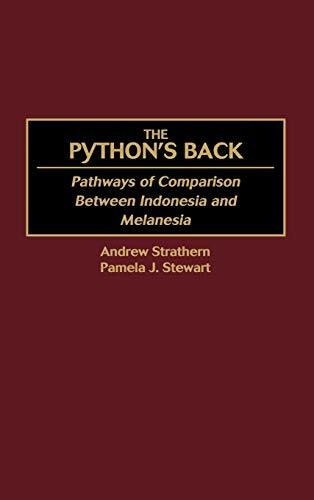 Building on an incipient tendency to make comparisons between Indonesian and Melanesian cultural themes, this study makes a fresh comparison of themes that interrelate ethnographies of eastern Indonesia (for example, Sumba, Flores), Irian Jaya (the Bird's Head), and the Highlands of Papua New Guinea (Melpa, Duna). The themes chosen include slavery and personhood, kinship and commoditization, cassowary myths, sky beings, witchcraft, female spirits, and historical changes. Such a comparative sweep of themes has not been attempted before for this part of the world, and the thematic approach adopted also makes it possible to examine topics both in the abstract and in terms of historical time. The comparisons made illuminate both differences between the cases chosen and particularities of each case, bringing together Indonesian and Melanesian ethnographies in a new way that transcends the conventional boundaries of regional analysis. Argues for a comparative perspective on ethnographic themes from Eastern Indonesia and the Highlands of Papua New Guinea, breaking down stereotypes of cultural differences between these regions. Strathern Andrew Stewart Pamela J.